Good news though, my picks can still be found at stores and even online. 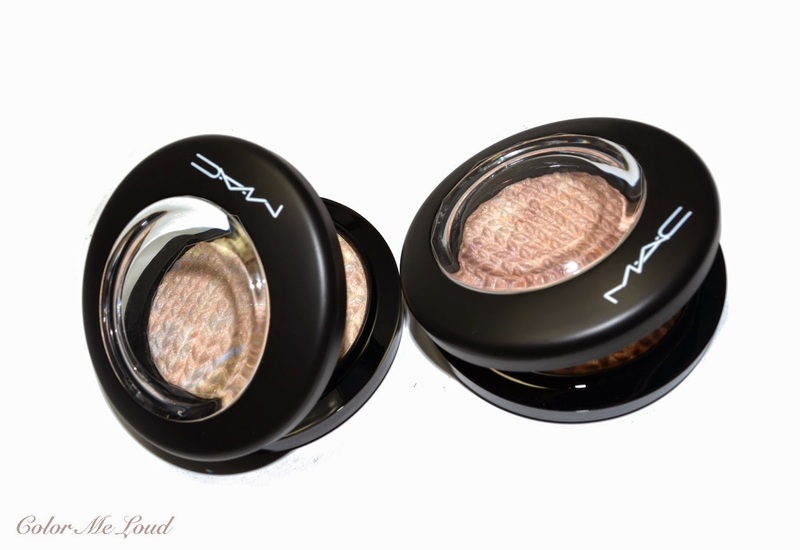 Today I would like to share my thoughts about my picks from MAC Lightness of Being Collection. 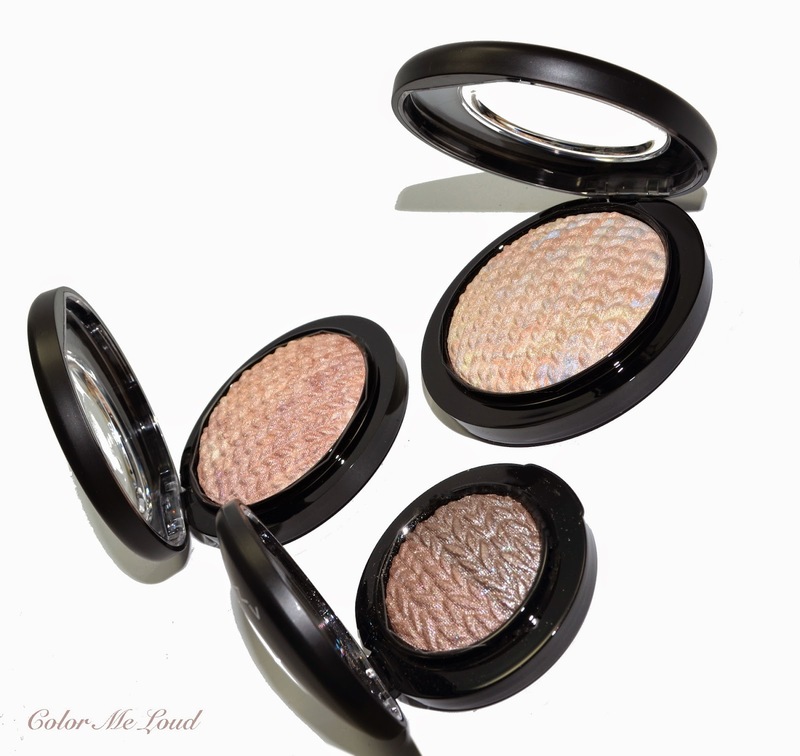 Mineralize Skinfinishes in Perfect Topping and Lightscapade as well as Mineralize Eye Shadow Duo in Force of Nature. Now there is a discussion going on about the new package of Mineralize Skin Finishes. Some like it and some not, the price got a little higher as well but the amount of product is more (increased from 7 g to 9 g). I personally like the modern design and the magnetic closure of the new ones. Also these can be put on top of each other and they nicely sit since there is the same curve at the back of the compact. What I don't like is how you open it. There is nothing to push or pull so sometimes in the morning I struggle finding the right spot to lift. The older ones had a button which was easier for me. I wanted to pick up Lightscapade for a long time. This particular shade is a part of the permanent line-up. When I had seen the pretty pattern, I pulled the trigger on this. That pale blue and yellows scattered on the surface of a beige knit pattern. 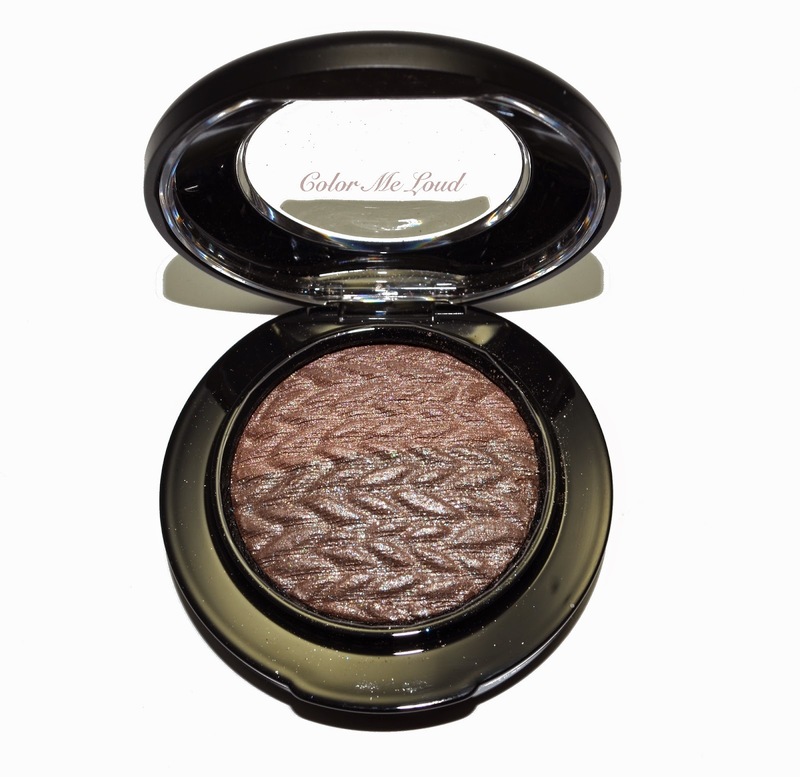 The second Mineralize Skinfinish in Perfect Topping has cooler undertones with a slight touch of pink and a little bit of plum and gold on the surface. It is also a little deeper than Lightscapade once applied on the skin. 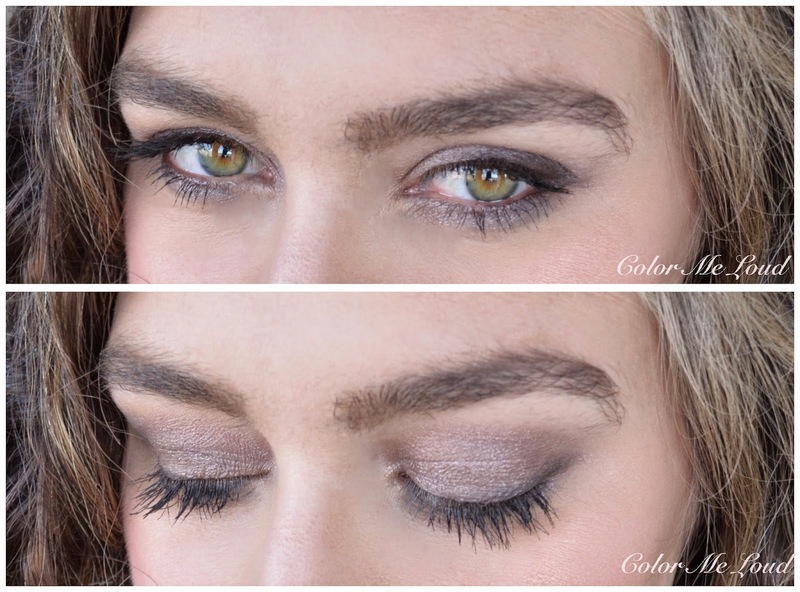 Perfect Topping gives me neutral shimmer but no color. 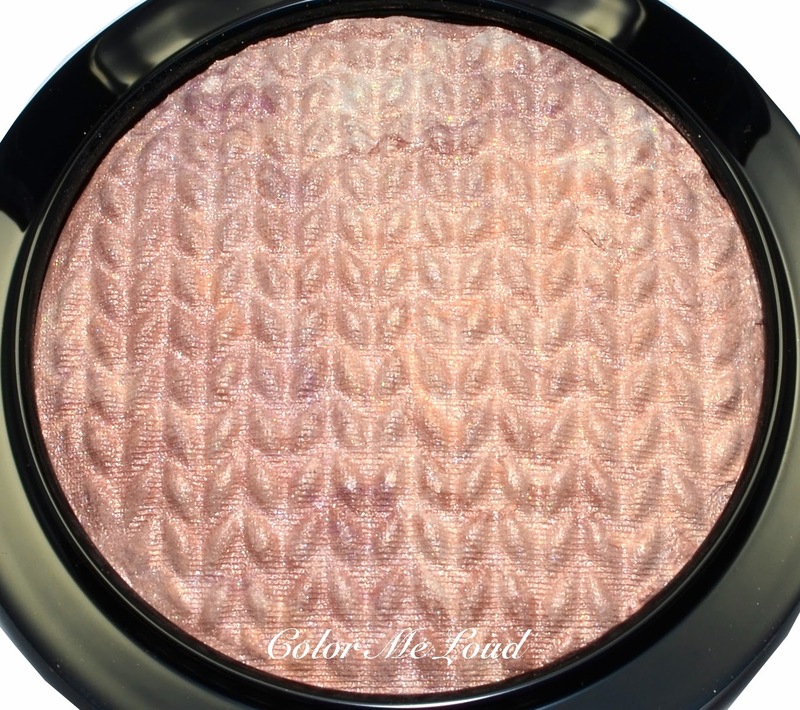 I can see it applying like a blush if you are very fair but for medium to deeper complexions it would make a fabulous highlighter. On me it is almost the same shade as my skin tone. 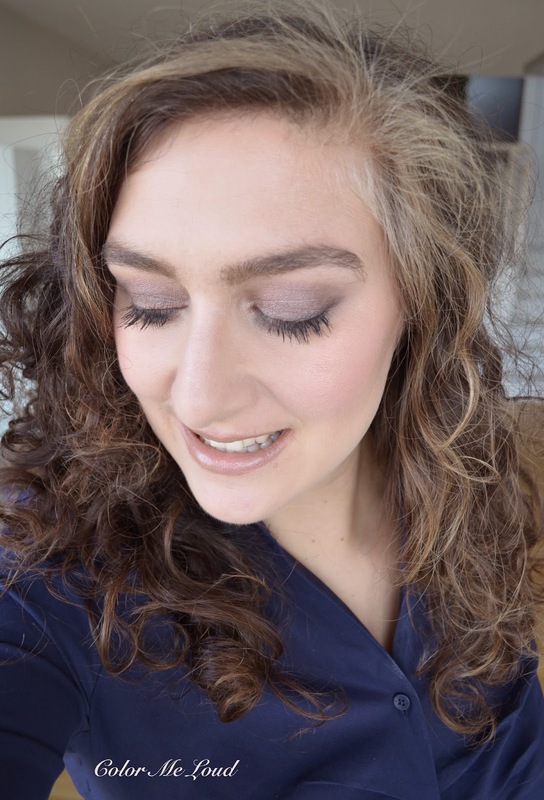 Here is a close up of my cheeks, I am wearing slightest amount of Chanel Joues Contraste in Angelique (reviewed here) and lots of Perfect Topping. As you see it doesn't look like disco ball but the sheen is there. That said I don't have pores etc. on this part of my face, so I can't really comment on how it comes to terms with these. I really like the effect on me though. After I swatched the collection at the store, I couldn't resist getting one of the eye shadows. Although I am in no means fan of Mineralize Eye Shadows, Force of Nature swatched very pretty and it was more pigmented than I expected. Although it looks very brown n the pan, once swatched it was more of a taupe with plummy undertones. This won my heart. Below I have applied the satin part of the eye shadow (upper part on the photo) on the crease and the shimmery part (lower) on the entire eye lid. I like the shimmer in this one which is not over the top. Also dry application was pigmented enough and I didn't need to go wet with it. These are not particularly long lasting and they start fading away on my lids after 5-6 hours but this shade is so pretty nevertheless. 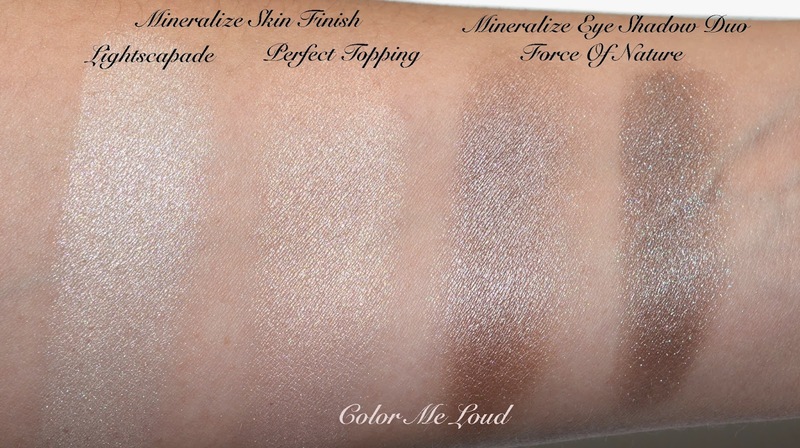 Here are the swatches of my picks, Lightscapade is a great highlighter for complexion since it is lighter but also a tad warm, it appears very neutral. Perfect Topping is even more natural since it is almost the same shade as my skin tone. It doesn't highlight all that well because of this but gives a nice sheen. I can use Perfect Topping for the entire face with a light hand (so it is a perfect overall topping for me indeed!). The shimmery and satin parts of Force of Nature have some shade difference, so it acts lovely as a duo with some definition. Below I am wearing Perfect Topping on the high points of the face and Force of Nature on the eyes. 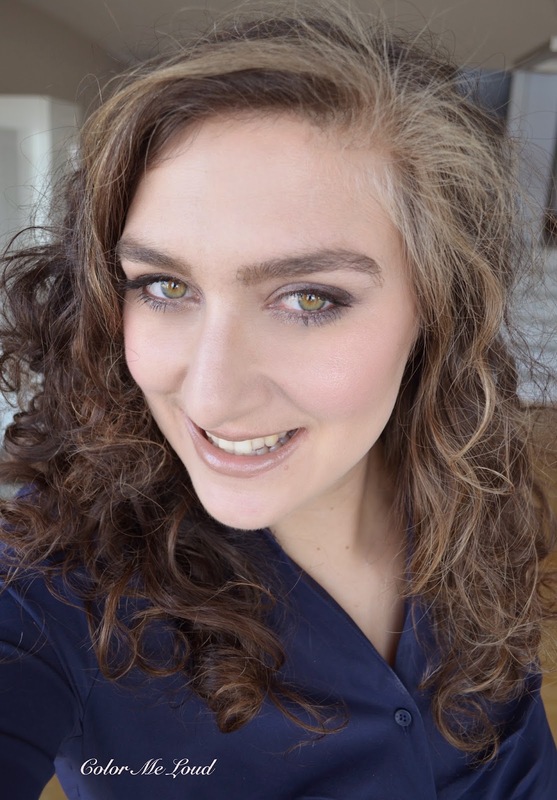 I have Touch the Earth Lipstick from the collection on my lips which I reviewed a few weeks ago. Touch the Earth Lipstick is a lovely addition to my stash as well since it is not too warm nor too cool. It completes earth colors very well. All in all I like the earthy tones in the collection but I am not so much fond of the over shimmery blushes so I passed on these. There are also new Mineralize Lipstick which joins the permanent line. Only Lipstick which is limited edition is Touch the Earth so if you are eyeing this or any of the Skin Finishes, make sure to check them sooner than later. These are now available in Germany at MAC Counters as well as online. As far as I have seen they have more stock than usual and all the pieces are still available. 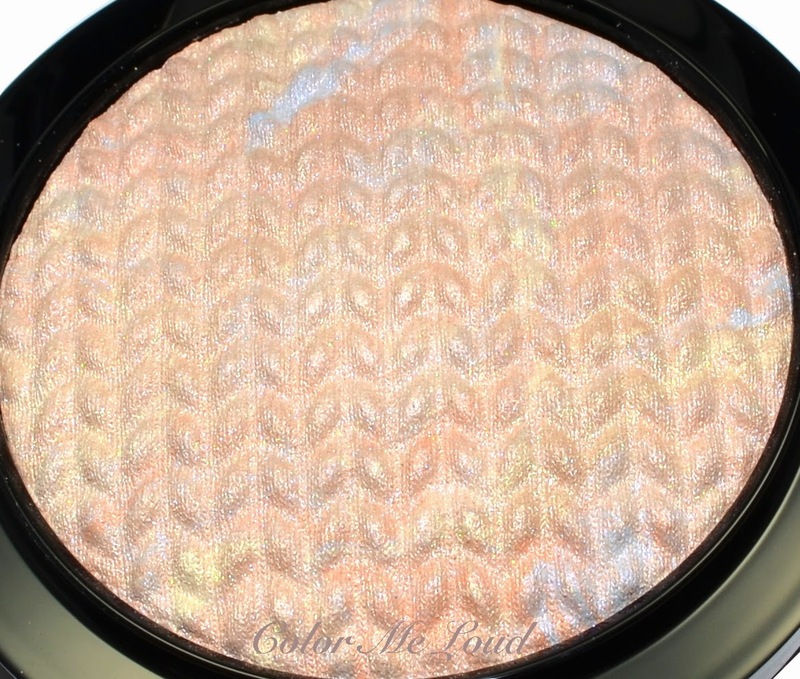 Final thoughts: Mineralize Skin Finishes have lovely pattern and a nice texture. Depending on your skin tone they may be used as highlighter or finishing powder. 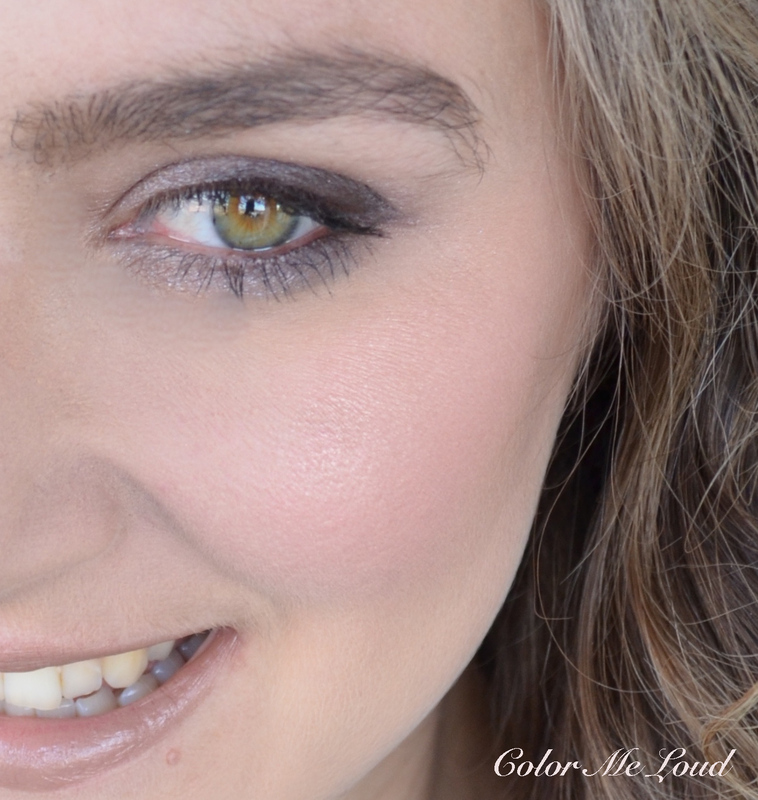 I like the Mineralize Eye Shadow Duos this time around. I am especially fond Force of Nature in terms of its shade but their lasting power is not their strongest point. Have you checked Lightness of Being Collection? LOL, no it is not weird to say. He certainly did get used to the cosmetics madness here and became more patient than he was in the beginning. We would love to come for a visit! These do swatch very dense but can be sheered out nicely on the cheeks. They certainly don't look like disco ball on me. Increased price point is certainly not that desirable though, I still couldn't resist the design. I wish I had gotten Force of Nature. I got Leap instead. Seltsam...an Dir finde ich die Produkte wunderschön und könnte mich sogar durchaus anfixen lassen... sieht toll aus! Swatch, Tragebilder... alles! ... Im Laden habe ich sie gar nicht sooo interessant gefunden... ist ja manchmal so, wenn sie so leblos da liegen... Wunderschön an Dir!!! Perfect Topping looks very pretty!